Fiberglass insulation is significantly cheaper than spray foam insulation, but it is also less effective, especially in extremely cold conditions. 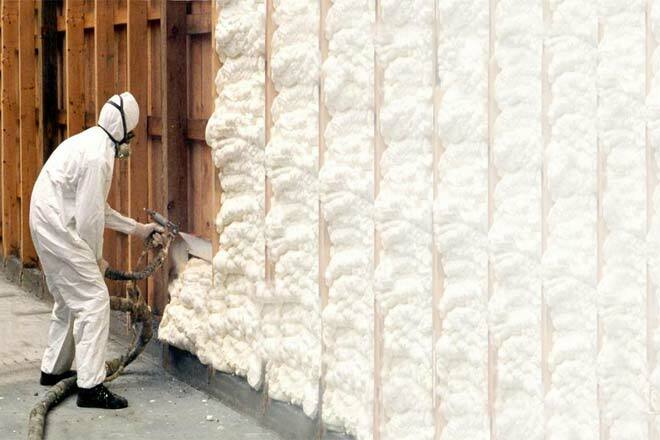 Used in roughly 85% of American homes, fiberglass insulation is the most common form of home insulation. Spray foam insulation has less market share but is increasing in popularity. Professional installation is required for spray foam insulation, but fiberglass insulation can often be installed by homeowners themselves. Traps air inside tiny glass fibers, slowing transfer of heat. There are 2 Types of Spray Foam insulation, Open and Closed Cell. Open Cell is mainly used as an air barrier but closed cell is an Air, Moisture and Vapor barrier. Potentially, due to kraft paper on batts. Yes – need a barrier with fire rating, like drywall. However, most Closed Cell Spray Foams come with a fire retardant. The transfer of heat is slowed down with fiberglass insulation because the glass fibers trap air bubbles. These bubbles create an insulating effect by slowing heat exchange between areas and surfaces. Spray foam contains a polymer, such as polyurethane, and a foaming agent. After being sprayed, it expands to roughly 100 times its original volume and hardens into a solid. As a result, it is able to fill vacant air gaps, and will expand and contract in relation to the building. The two types of spray foam insulation are open-cell and closed-cell. Each kind has its advantages and disadvantages, based on insulation needs and costs. Open-cell foam means that the cells are broken and air fills the gaps inside the material. Open-cell foam is thus softer and less structurally stiff than closed-cell foams, where the cells form a cohesive structure. The closed-cells hold their shape as they are filled with gas, making them stronger to pressure and also creating a better insulator. If the foam will not be stressed by outside forces, doesn't need to conform to a solid shape, and the budget is limited, then open-cell foam is best. For areas that need higher insulation of air and water vapor, will have more exposed usage, require structural support or decoration, and the budget is higher, then closed-cell foam is a better option. Whereas open-cell foam is limited in its insulation range, closed-cell foam can vary greatly in density and insulation factors. The density relates directly to insulation value and is measured by weighing one cubic foot (cu. ft.) of the foam material. Open-cell foam weighs between 0.4 and 0.5 lbs/cu. ft, with an R-value (insulation) factor of about 3.5 per inch. Closed-cell foam can be made with densities as high as 1.7 to 2.0 lbs./cu. ft. The higher density not only allows for it to be molded for decorative or light structural uses, it also provides R-values of about 6.0 per inch. For comparison, roofing applications have densities in the 2.8 to 3.0+ lb./cu. ft. range, so regular closed-cell foam is not really a load-bearing material, but it can reinforce and decorate as well as insulate. Some closed-cell polyurethane foams can reach a density of 30 lbs./cu. ft. to 40 lbs./cu. ft., and are painted to simulate wood or marble. Differences in cost are based not only on materials, but also on methods used for application. Open-cell foam can be easily applied and installed using a low-cost, water-based process. Open-cell foam also occupies more space per weight (i.e., it is less dense), so less material is needed to fill an area. Closed-cell foams are heavier, require the proper R-value blowing agents for application and are thus more expensive and more difficult to install. The insulation gain of closed-cell vs. open-cell foam is not always cost-effective, so that factor must be taken into consideration when choosing spray foam insulators. The composition of fiberglass insulation does not stop air from passing through it. On average, more than 30% of heat or air conditioning escapes where fiberglass insulation is installed. If poorly installed, fiberglass can also leave spaces around fixtures, allowing even more heating or cooling to escape. Spray foam insulation fills all spaces, preventing air from escaping. It acts as an air barrier. Like cellulose insulation, spray foam insulation is significantly more efficient than fiberglass and has a higher R-value. A product’s r-value is its resistance to heat flow. A higher R-value prevents more heat from escaping through the insulation. Homes generally try and reach an R-value of 38 with their insulation. The R-value of spray foam insulation is approximately 6 per inch so those using spray foam as their insulator will need about 6.3 inches of thickness to reach R-38. The R-value of fiberglass insulation is approximately 2.2 per inch so much thicker fiberglass insulation is required to achieve the same R-value of 38. Spray foam insulation is composed of two separate parts that are combined as they are sprayed. One barrel is isocyanate (the "A" side) and the other barrel is resin (the "B" side). One of the components in the "B" side barrel is the fire retardant. The components in this barrel need to be properly agitated before use so that the fire retardant mixes well with the entire resin. Each barrel is slowly warmed to about 770 °F before beginning application. Transfer pumps draw the product out of each barrel and move it to the proportioner, which controls the amount of product drawn from each barrel and heats the products to the appropriate spray temperature (usually around 150-1600F). A hose (that actually contains 3 hoses) runs from the proportioner to the spray foam gun. There is a mixing chamber in the gun head whre the isocyanate and resin mix and are immediately sprayed and applied. Spray foam insulation must always be installed by a professional. This is an overview of the installation process for spray foam insulation and this video demonstrates how professionals install spray foam insulation in the attic of a home. Fiberglass insulation comes in batts or rolls of varying thicknesses and lengths that must then be cut for installation. For the highest level of insulation, the fiberglass must be cut carefully so it can fit as tightly as possible around obstacles such as power sockets. This process is difficult for some installations and is time consuming. Although for quick insulation, fiberglass can be easily installed without professional assistance, the most benefits will accrue if a professional does the job,. Fiberglass can irritate your throat and skin, so wear protective gear. Buy a two-strap mask rated for fiberglass insulation (3M No. 8210 is one example) and wear a hat, gloves, a long-sleeve shirt and goggles to keep fibers out of your eyes. See this video for advice on how to overcome 3 main problems in installing fiberglass insulation. On the whole, spray foam insulation costs two to three times as much as fiberglass insulation. Fiberglass insulation costs around $0.40 per square foot. Spray foam can be significantly more expensive, but can lead to bigger savings on heating and cooling costs. It costs around $3 per square foot, with a thickness of 3 inches. Given the complexity of the installation process for spray foam insulation, the cost to install it are also significantly higher than fiberglass. Spray foam, however, lasts a lifetime and can be applied in nooks and crannies that are not suitable for fiberglass. 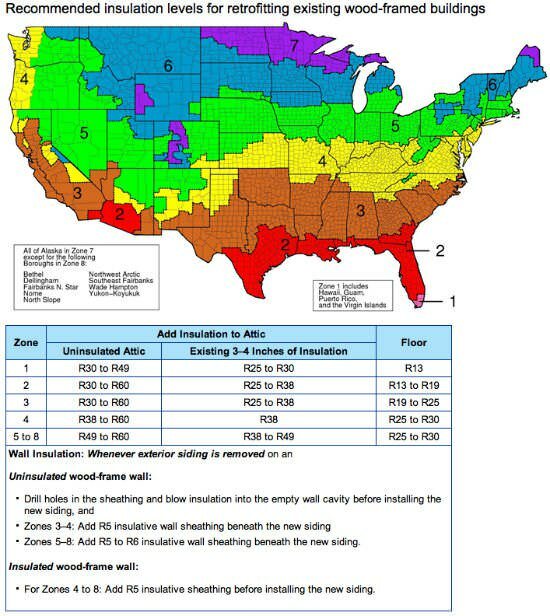 With its higher energy efficiency and lower utility bills, the payback period for offsetting the higher cost of spray foam insulation is estimated at between 5 and 7 years for colder climates. Some of the main ingredients in spray foam are isocyanates. These chemical compounds are highly irritating to the eyes, lungs, and stomach, and contact with the foam can cause severe skin rashes and inflammation. This means that protective clothing, including gloves, goggles and a mask or respirator, must be worn when applying spray foam. An overexposure to isocyanates has been shown to cause asthma attacks in workers who are exposed to spray foam again. Long-term respiratory irritation could eventually lead to chemical bronchitis. Once cured, spray foam is inert and non-toxic. However, during the curing process, the foam emits a gas that can cause respiratory distress and blurred vision. If the spray foam components are not mixed in the proper proportions, the foam could emit this gas permanently, even after it has been cured. Fiberglass insulation contains glass wool fibers that are believed to be carcinogenic. Some fiberglass products warn of "possible cancer hazard by inhalation". Fiberglass irritates the eyes, skin and respiratory system. Potential symptoms include irritation of eyes, skin, nose, throat; dyspnea (breathing difficulty); sore throat, hoarseness, and cough. Protective gear is recommended when installing either type of insulation.